On June 1, 2018, he shared his story of studying Chinese literature and teaching Hindi in fluent Mandarin at a meeting themed on the people-to-people exchange held during the first media summit of the Shanghai Cooperation Organization. My impression of China started with eminent Chinese monk Xuan Zang. In my hometown of Bihar is the famous Nalanda Temple where Xuan Zang studied. My father, a professor of Sanskrit and Bari, often told me the stories about Xuan Zang’s journey to ancient India seeking Buddhist scripture. At university, I studied Chinese literature as my major for five years. 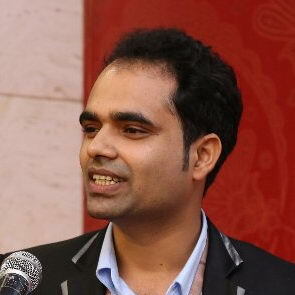 After my graduation in 2008, I started to teach Chinese in India. In 2011, I applied for a scholarship given out by the Chinese government and got the chance to study at Shenyang Normal University in China’s northeastern province of Liaoning for my second master’s degree in Arts. While in China, I visited the sites of the White Horse Temple and the Longmen Grottoes in Henan Province, which were always mentioned in my father’s stories, and took pictures to send to him. 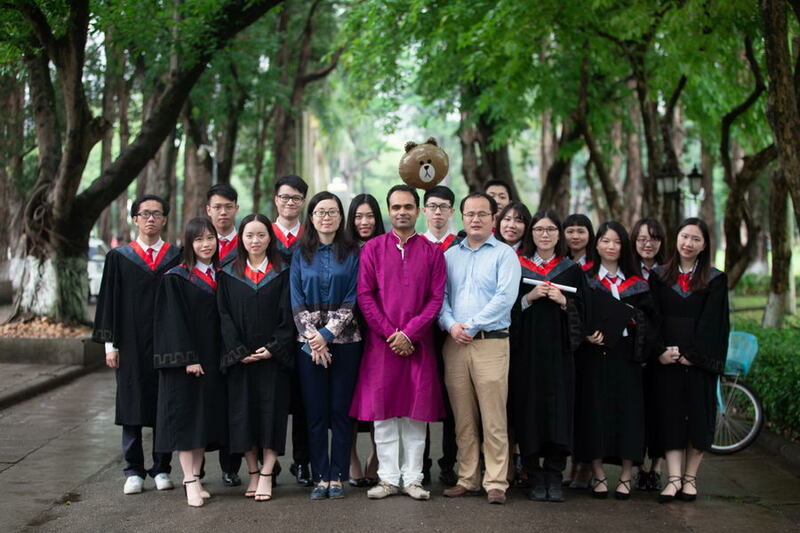 In 2015, I became a teacher at the Guangdong University of Foreign Studies and began teaching Hindi to Chinese students. Most of my students were quite interested in this language after a door to it was opened for them. In their third year of college, they traveled to India for an exchange program. Language plays a very important role in promoting cultural exchange. 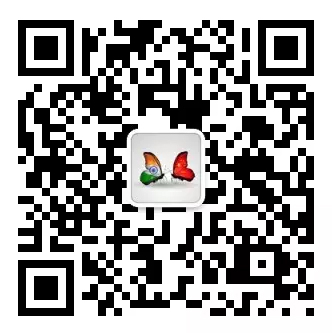 We can’t understand the real China or India in English, but more intimately know China in Chinese and India in Hindi, the respective local languages. In 2016, the Chinese and Indian governments decided to jointly translate 50 literary classics of the two countries. I was honored to participate in the translation of Bailu Yuan, or White Deer Plain, into Hindi. This book tells the story of a Chinese village in the last century. Hailing from the countryside in India, I could easily understand the novel because the countryside problems in Bailu Yuan are very similar to those in India. In my opinion, the history and culture of India and China are really similar. In the third century B.C., Qin Shihuang, or the first emperor of Qin Dynasty (221-206 B. C.), unified China. During the same period, the Mauryan Empire unified India. In modern times, China was reduced to a semi-colonial society, while India was a British colony. In addition, ancient Chinese literature focuses on nature and emperors, and modern literature reflects farmers, workers and women. And ancient Indian literature also tells the stories of the divine, nature, emperors and kings. In modern literature, the protagonists become peasants, laborers and women. Because the two countries have so many similarities in history and culture, it is easy for me to understand Chinese literary works. Ten years ago, when we saw things labeled “Made in China” in India, we all thought they were all knock-offs. What about now? We’ve totally changed our attitude about Chinese products. For example, China’s mobile phones are so good they have captured more than 50 percent of the Indian mobile phone market. In recent years, China has developed really fast. Britain, France and other Western countries have highly developed economies, but they were all built upon a history of colonization—everything they achieved was done by bullying other countries. However, China depends only on its own efforts, so China’s development has more important significance. Historically, Xuan Zang traveled to India along the ancient Silk Road. Now, Chinese President Xi Jinping has proposed the Belt and Road Initiative, the new Silk Road of the 21st century. The initiative has already attracted more than 60 countries, regions, and international organizations to participate, and the economic and cultural development of these countries will be promoted fast. India refuses to join the Belt and Road Initiative, mainly because part of the project passes through Kashmir and involves border issues. Last year, some conflicts happened between China and India around the Donglang (Doklam) standoff. However, even during the standoff, Indian films were still shown in China. And our leaders have been very wise not to let the conflicts hurt the economic and cultural exchange between the two countries. When the standoff occurred, some Western media predicted that China and India were about to start a war. But has it happened? No. Both President Xi Jinping and Prime Minister Modi know that the dispute cannot be solved through fighting but demands dialogue. The border dispute did not emerge overnight, nor can it be solved by tomorrow. Thus, we should focus more on the overwhelming volume of friendly cultural exchange conducted between China and India over the past two thousand years. In fact, the culture and history of China, India and Pakistan are quite similar. They have endured painful days in the past and presently face many of the same problems such as over population, poverty and terrorism. If we could work together to solve these problems, our relationship would be much better. Furthermore, China is the second-largest economy in the world, and India is the seventh. As the most populous countries in Asia, China and India host more than 30 percent of the world’s population and the largest market. If the two countries can work together, they will surely move faster.